This includes fabric for quilt top, binding an pattern. Pattern used is called Radio Way from Jay Bird. 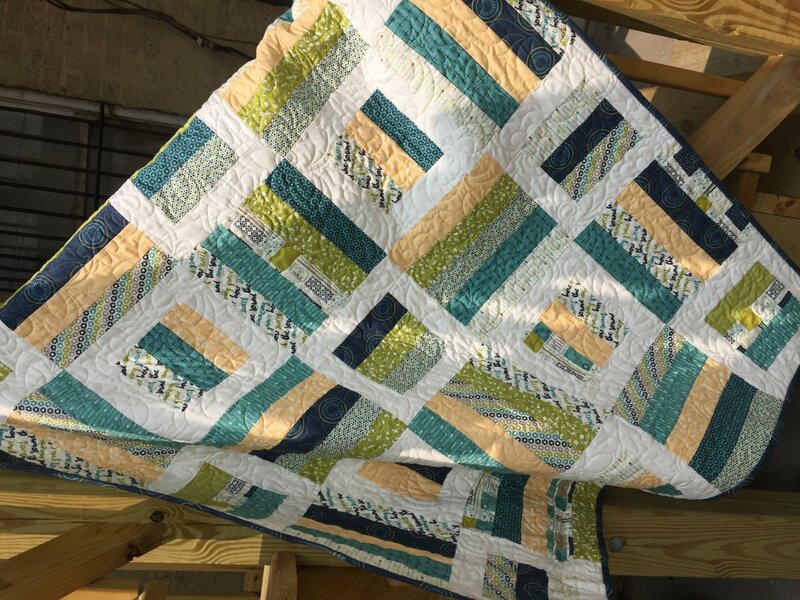 Quilt measures 50 x 70 inches.